Step 1. Choose the word or a phrase you’d like to be on your leaf garland. We decided on the word THANKFUL. Step 2. 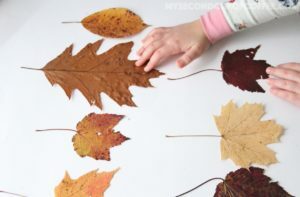 Choose the leaves you would like to use and pay them out in the order. It’s good to use different colors, types of leaves, and sizes to keep it visually interesting. Step 3. 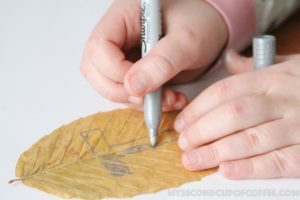 Take sharpies and write the letters on your leaves. Step 4. We alternated between silver and gold on our yellow and red leaves. My daughter did all the writing. Step 6. 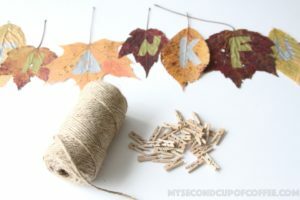 Start attaching your leaves to the twine with mini clothes pins. You can space them out or keep them close, all depending on the style you are going for. Sep 7. 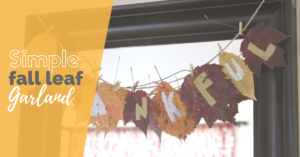 Hang your leaf garland in the spot of your choosing in your house. 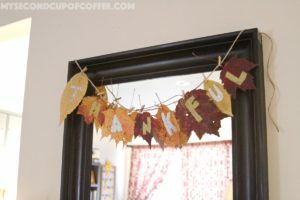 We chose to hang it up on the living room mirror so that every time we look in the morrow, we’d be reminded to be thankful for all the blessings in our lives. And that’s it! 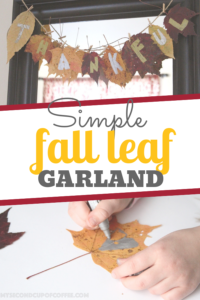 A very simple leaf garland to add a festive touch to your fall or Thanksgiving décor. 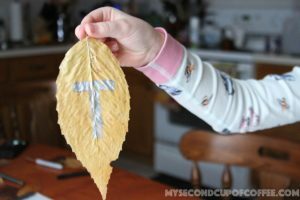 You can certainly do this with kids or your friends, it’s versatile, easy, and takes under 30 minutes to complete. Happy crafting! 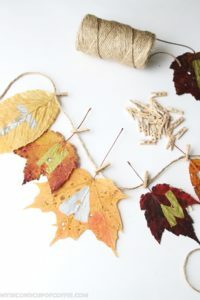 Tell me, what other simple crafts have you done this fall?